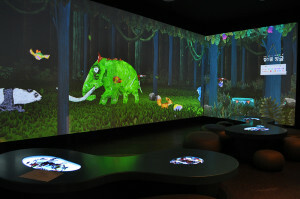 The Colorful Jungle, an interactive media exhibition, is held in the Fantastic Theater. 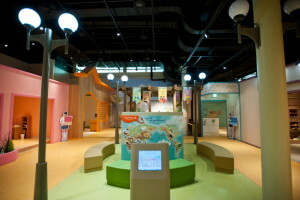 This exhibition is about endangered animals, organized in order to teach children the value of the environment and life. 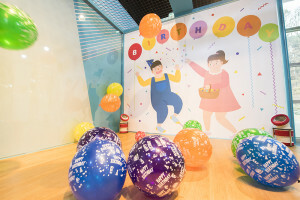 Children's Museum Special Exhibition 「Happy Everyone's Birthday」 is an exhibition designed to get to know the sanctity of life and the preciousness of “me.” With the birthday, the most delightful and happiest day of the year, as motif, you can feel your growth over the year and learn how precious you are. 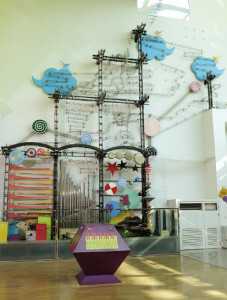 Various works by artists are hidden here and there in the Gyeonggi Children’s Museum. 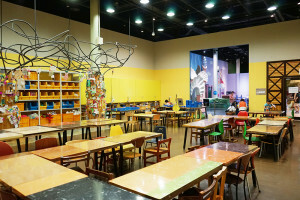 Let’s explore the Art Gallery in the Museum. 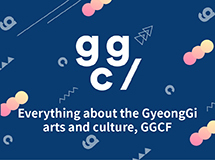 In Gyeonggi Province, you can meet many friends with diverse cultural backgrounds. ‘These are My Friends’ delivers the stories of those friends in Gyeonggi Province. Have you heard the story of the Big Dipper? 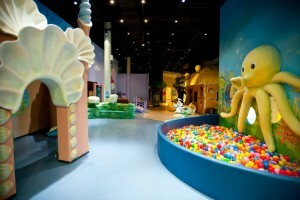 In the house of a brother and sister, the main characters of The Sun and the Moon, you can watch the animated films based on fairy tales related to the constellation. Try to sneak into the mouth of the tiger. How do the heroes of the story get through the challenge of facing the tiger? Do you think that discarded wallpaper, rubber, wires, old magazines, and empty cans are all waste? Well, they are wonderful materials for making unique artworks in the Eco Atelier. How will you transform them? Become an artist yourself, and recreate this junk into a nice work of art.